Saturday after the tours, as Barbara and I hung out with the horses, Barbara’s phone was tuned to the races. We were visiting Ogygian when the time came for Lady of Shamrock’s race. Since she’s Ogygian’s great-great-granddaughter, we invited him to watch, turning up the sound and holding the screen for him to see. He just snuffed at the phone, thinking it might be edible, but then the gate opened, the hooves rushed, and the race call began. Everything changed. Ogygian lifted his head, looking at the phone, ears pricked, neck a little arched, listening to the race call. During the entire race he remained absolutely intent. He didn’t move a muscle. He was totally focused, ears pointed at the sound from the phone. Not that I think the little dots moving on the screen meant anything to him. Not that I think he understood the words, or that a descendant of his was running in the race. But he doesn’t usually respond like that to phones. The trick used by some horse photographers of playing recordings of horses’ nickers and neighs never gets so much as a glance from him. Ogygian knows, better than any other horse I’ve ever been around, when he’s being faked off. But he also knows perfectly well the rhythms and tones of a race being called, a sound familiar to horses who have lived on race track backsides. And watching his intent interest, and the erect, proud way he lifted his head, it was clear he knew exactly what those sounds meant. As a breed, Thoroughbreds tend to be competitive. They like to prevail. Like people, they tend to like doing things they succeed at. I think this is why so many of the stakes winners among our residents show pleasure when they’re reunited with their jockeys or hear a bugle play the call to the post. It’s been more than 26 years since Ogygian’s last race, but his response to the race call expressed pleasure. Whatever memories or sensations that sound brought back to him, they were good. And when the race was over, that was okay too. He lowered his head, swished his tail, and enjoyed a few more carrots and caresses from the friends who make his present life good. Last week a beloved resident passed. In her racing days, Klassy Briefcase was red-hot fast, setting a world record for 5 furlongs on the grass. As a broodmare she excelled too. Read about her accomplishments here. We knew her in her quieter, advanced years when she’d adjusted to arthritis and other limitations of old age with absolute grace and kindness. We’ll always miss Klassy, who truly was all class. Last week I wrote about the chapeau Maggie Mae designs will create to honor Patton. 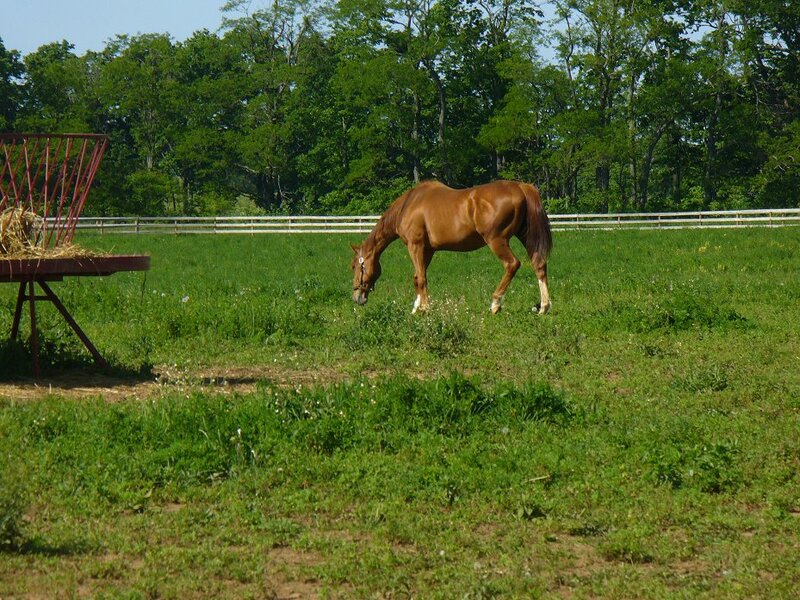 This week the buzz is about Rosie Napravnik’s photo shoot. She’s modeling the current hat, the spirited Sean Avery chapeau. It goes up for auction this Nov. 1—mark your calendar! All proceeds will benefit Old Friends. So, Thursday was the big day. Sean Avery was groomed to a sleek shine. Rosie came in an elegant dress, the perfect complement to the shape and color scheme the hat. The confident sweep of its black feathers was inspired by the name of Sean’s racing owner, Black Swan Stables, and its spunky hues recall their racing silks. Just as much, they express Sean’s own energy. He’s an upbeat guy. Matt and Wendy Uzelac Wooley, otherwise known as Equisport Photos, generously donated their talents to the mix. So all converged in the barn to make the perfect photo to show off the joie de vivre of Sean Avery, the chapeau. Only, the human participants hadn’t quite planned on the joie de vivre displayed by Sean Avery, the horse. I wish I could give a behind the scenes account. I wasn’t there. But here’s the video so you can see for yourself. In fairness to Sean, he’d been in his stall so he’d stay clean and beautiful, and when he came out, he really wanted to play outdoors in his paddock. I love Rosie’s gentle, affectionate firmness in the video as she lets him know they had other business to take care of. Little Silver Charm, of course, is always ready to step into the spotlight. He was only too happy to show Sean how a pro handles a photo session. As for Rosie in the chapeau, and the chapeau on Rosie…stunning! Old Friends is grateful—and then some—to Maggie Mae Designs, Rosie, Matt and Wendy, and all who try your luck for the distinctive Sean Avery chapeau in the auction, Nov. 1 We deeply appreciate all you do for Old Friends’ retirees! Last week I exchanged email with Sally Steinmann, the millinery artist behind Maggie Mae Designs. This happens whenever she begins creating a hat to honor an Old Friend resident. These beautiful hats are important fund raisers for us. Her current project: Patton! Almost as wonderful as Sally’s hats is the way she approaches creating them. 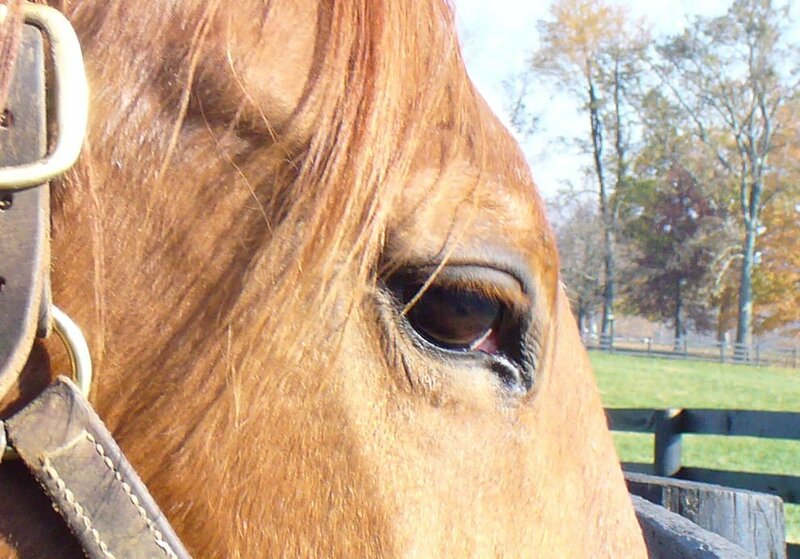 It’s about so much more than the name, color and racing silks of the horse. We often zing emails back and forth for days about the horse’s achievements, life experiences, and especially the horse’s temperament. Sally collects amusing or moving stories about her subjects, asks questions, collects photos before she starts to work. By the time she designs the hat she knows just about as much about the horse as we do. All of her sense of who the horse is goes into the hat. And the results! The colors, the panache, the elegance, the flair! The harmonies and contrasts in texture and motion! If you haven’t seen a Maggie Mae Designs creation or haven’t visited her site for a while, treat yourself to a peek at the Hats Off to Horses portfolio of her creations that have raised funds for Old Friends, and last spring’s hat honoring Sarava. I can hardly wait to see the design she invents for the serene, sweet natured, yet occasionally unexpectedly mischievous Patton! Maggie Mae Designs’ site is here and Sally’s blog is here. Another highlight of the last few weeks has been our second-newest retiree, Geri. He’s currently going through the routine quarantine the government requires when a stallion is imported from overseas. Some tests and lab results have to be completed before he can come to the main farm and begin greeting his fans. 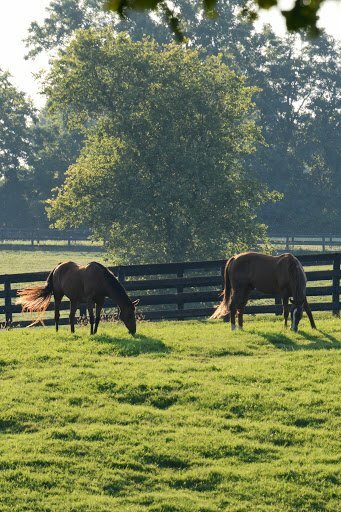 Michael says he should take up residence at our Kentucky farm in October. Meanwhile, he’s on a beautiful farm not far away, resting up after his trip in a large paddock with great grass and the best of care on a farm where some of our other residents spent their quarantines. It’s also a good chance for him to relax and put back on weight after the rigors of his trip. 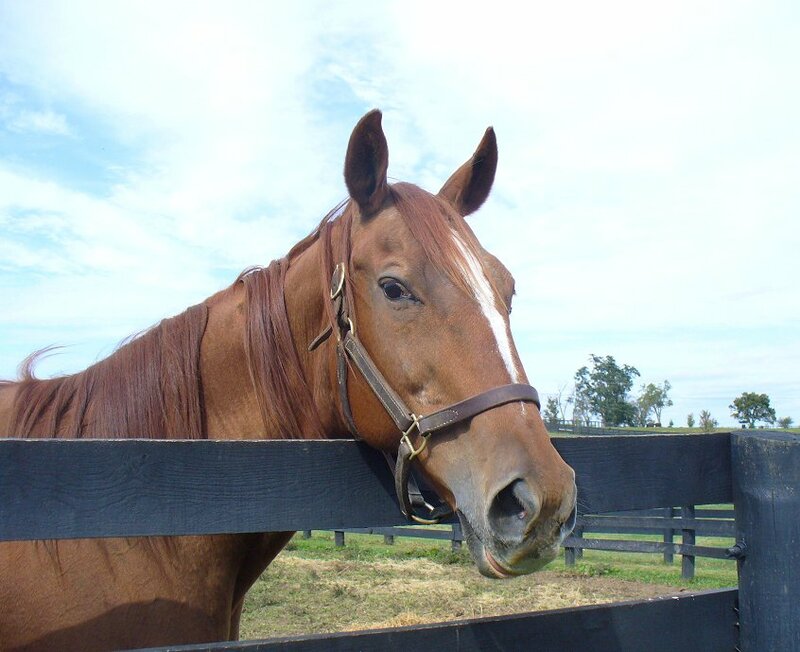 Geri, who’s now 21 years old, won the 1996 Oaklawn Handicap, Woodbine Mile and other topnotch stakes and went to stud in Kentucky and Japan, then Italy. 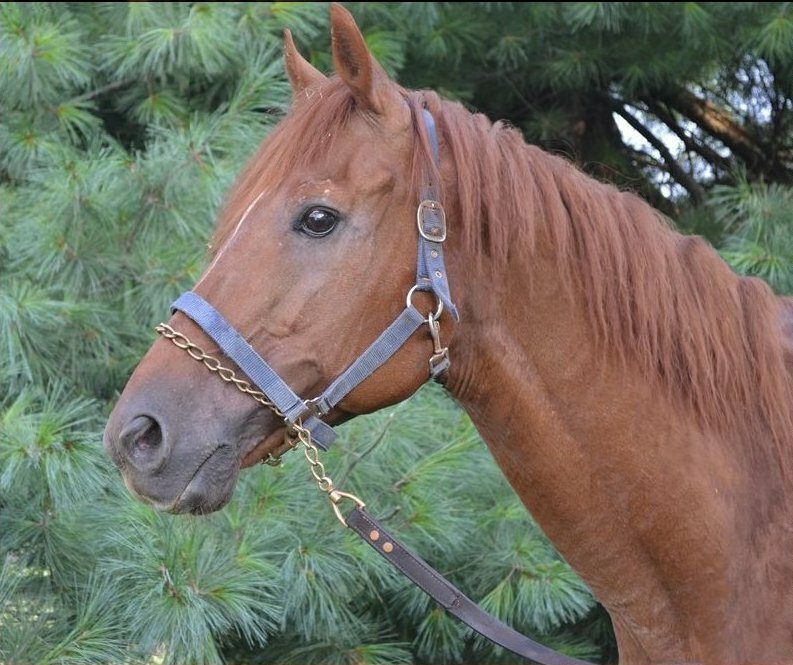 On my visit with him I met an active, bright red chestnut with one of the most beautifully refined heads I’ve ever seen. Geri is all stallion. He expects respect—he’s certainly earned it—and when he gets it he’s friendly and nice. I took to him at once. He took to…my carrots, probably. I look forward to building a relationship with him. Of course, we have someone at Old Friends who already has a relationship with Geri, though neither of them knows it. Since 2008 we’ve given a home to A. P. Slew. Though not a graded stakes winner like his dad, A. P. Slew resembles Geri, but smaller. He has a comical way of looking at people…how to describe it? Askance. I had to grin when Geri gave me that same look. Old Friends is very pleased to welcome Silver Ray! 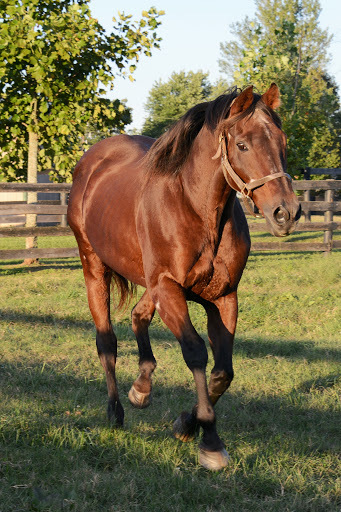 The 24 year old stallion and son of Silver Hawk has the amazing resemblance to his grandfather Roberto and current Old Friends resident Sunshine Forever! He has the kind, family eyes; striking, prominent head; and is a complete cuddle bug just like Sunshine. He also may or may not let his tongue hang out like Sunshine does which makes him even more endearing! 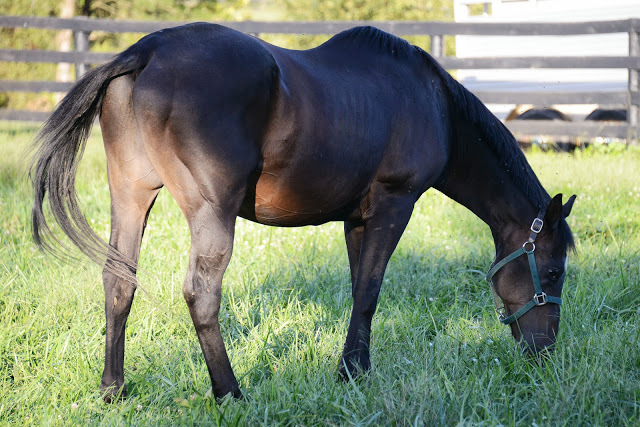 Old Friends owes many thanks to the California Polo Rescue for buying this horse for $30 at a local auction and allowing us the privilege to look after him here in Kentucky. Personally, I think Silver Ray is going to make a great addition to the farm!! 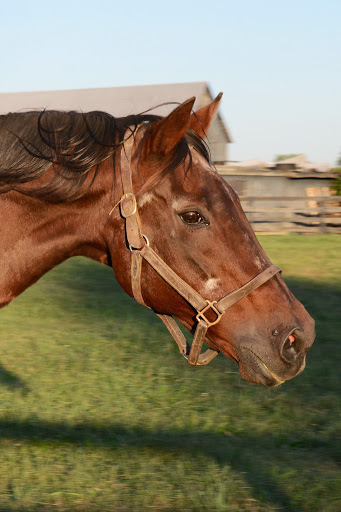 He is such a gentle soul who is full of exploding love for people and his beautiful new home in the Bluegrass. I think our visitors will really enjoy experiencing the softer, more vulnerable side to a stallion while they are able to hug and pet this gentle giant. Making Memories to support Old Friends. Making Memories, Pottery and Ceramics, LLC, is hosting a weekend fundraiser to support our retired Thoroughbred athletes. On September 28 & 29, owner Marti Coterell has generously agreed to donate 15 % of shop sales to benefit Old Friends. In addition, on Saturday evening from 5-9 there will be an Old Friends meet and greet, where guests can chat with Old Friends volunteers and enjoy refreshments catered by Georgetown’s own Miss Stephanie’s Gourmet. Weekend hours are 10-9 on Saturday and 11-5 on Sunday, so come on out and paint your pony…or other pottery mold of your choice, to support our horses! 1224 Paris Pike, in the Elkhorn Plaze, across from Arby’s in Georgetown. Making Memories is a paint your own pottery and ceramic studio, offering hundeds of pottery molds to choose from. They offer glazes (fired) and acrylic (non-fired) paints. It’s good to be Dan and Flick. Have you ever been around someone that essentially gets to do whatever they want? They are usually good looking,outgoing and ultimately sweet. 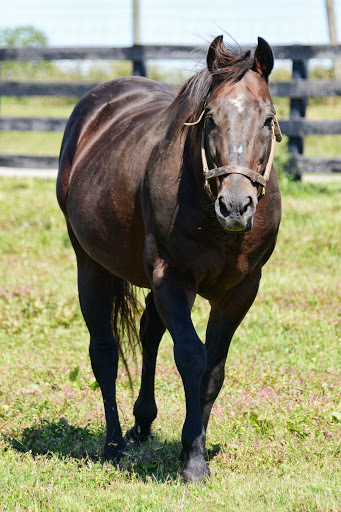 We have the greatest equine example of that here at Old Friends. His name is Danthebluegrassman. Yes, Dan is handsome and outgoing and sweet. And he is Teflon. It is just too funny. Dan has a slight issue sometimes while eating carrots. He blows orange stuff everywhere. No problem. He’s Dan. He pushes Flick around—in a brotherly way I might add. No problem. He’s Dan. He faked an injury to get out of jockey school. No problem. He’s Dan. I could go on and on. But he is gorgeous, outgoing, funny and loveable. So we forgive him. Everyone forgives him. Life is good. While Dan is Teflon, Flick is movie star handsome, kind and should I say, “tolerant.” I swear they have it all worked out. Dan pushes Flick just slightly. Flick moves back, looking pitiful for just a second. Most visitors say aahhh. Then Flick gets extra carrots—especially from teen girls. He is our teen idol. Don’t tell Dan. He’ll be jealous. Just kidding. Come see Dan and Flick. They actually have a wonderful bond. You will feel good standing in their presence. You’ll probably laugh too. It’s good to be Dan and Flick. As I looked among Laura Battles’ photos for a good one of Dan and Flick, I happened on this oldie of hers. November 1991. 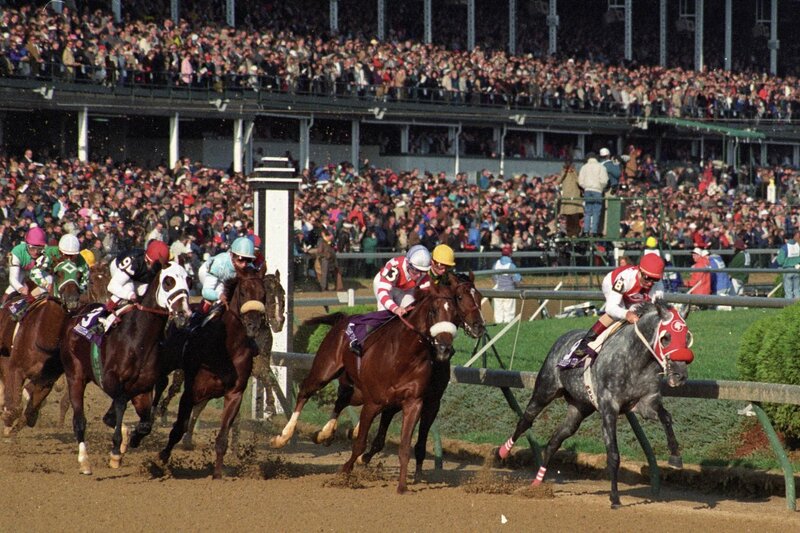 Churchill Downs. Black Tie Affair leads the field in the Breeders’ Cup Classic, the grand finale that earned him the 1991 Horse of the Year championship. Marquetry can almost be seen too, the Juddmonte pink cap and green and white silks. He finished in the middle of this amazing field that included Unbridled, Summer Squall, Twilight Agenda, Fly So Free, Strike the Gold. Black Tie Affair led them all, wire to wire. This victory topped off a 6 race, all stakes series of victories. 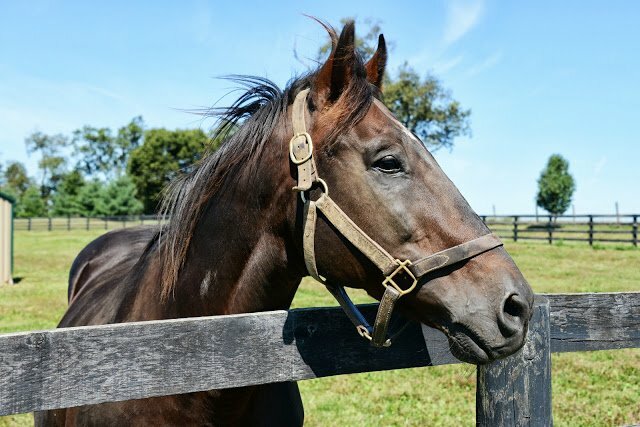 Why is the great Black Tie Affair not yet in the Racing Hall of Fame?